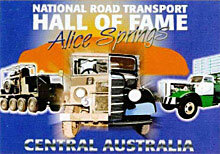 Tall Tales but True – a series courtesy the National Road Transport Hall of Fame in Alice Springs. Norris Garrett Bell was born in Scotland in 1860. He was employed as the Commissioner of Railways from 1917 to 1929 and played a significant role in planning, constructing and overseeing all aspects of the Oodnadatta to Alice Springs railway link. After qualifying as an Engineer Bell migrated to Australia in 1886 and took on the position of Resident Engineer for Queensland’s Cooktown Railway. He later said the difficulties of operating that railway in the monsoonal tropical far north of Australia had prepared him for anything. Ironically Norris Bell became renown most for building a railway through the very heart of the flattest, driest continent in the world. 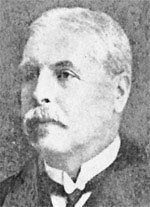 Bell went on to become Chief Engineer of the New South Wales Government Rail before being appointed Acting Commissioner of Railways in 1914. In 1917 he became the Commissioner for Railways and tasked with heading up construction of the Trans-Australia Railway across the Nullarbor and later the railway from Oodnadatta to Alice Springs. The Trans Australia was built in standard gauge and the section towards Alice Springs, mainly because of the Government’s budget contraints, was built with narrow gauge. This caused many problems over the next fifty years until it too was converted to standard gauge in 1980. Bell is remembered as being a visionary way beyond his years. While the states of Australia looked at their railways parochially Norris Bell pushed for national consistency within the railway. He argued that standard gauge should be adopted as the national railway gauge and spoke often about the logistical problems of operating “break of gauge” railway stations. As such, Norris Bell played a significant role in assisting Sir George Dibbs in initiating and developing the Australian Standards Association. Norris Bell retired in 1929 just after the arrival of the first steam train (NM35) into the tiny town of Stuart (now Alice Springs). Norris Bell died in 1937 aged 76 leaving us the legacy of both the legendary Old Ghan and the world famous modern new Ghan. Little could he have known at the time he would make such an impact on so many for so long. 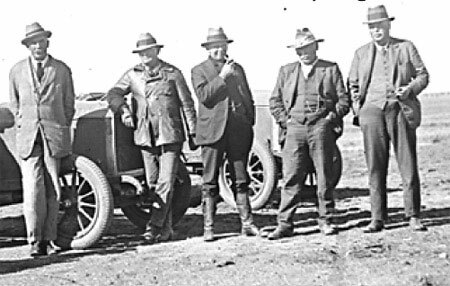 Norris Bell (far right) on tour in 1923 to inspecting the prospective route of the Oodnadatta to Alice Springs line. This article is on my great grandfather. My pop’s name is Norris Garrett Bell. Any more information on him would be appreciated. Great read. Thanks!